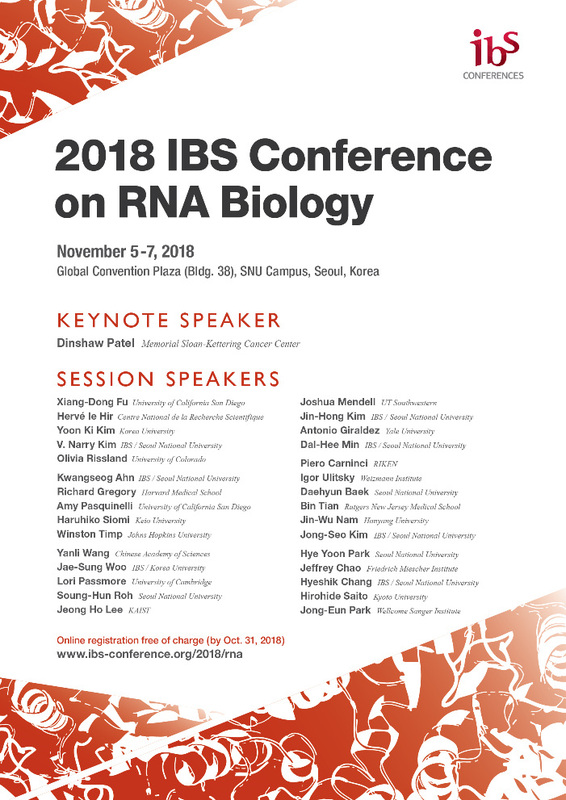 Center for RNA Biology at IBS will host "2018 IBS Conference on RNA biology" with a number of leading researchers at home and abroad. The conference will take place between Nov. 5 (Mon) ~ 7 (Wed) at SNU Global Convention Plaza, SNU Campus, Seoul. More than 30 world-leading researchers including Dr. Dinshaw Patel from Memorial Sloan Kettering Cancer Center, will participate as speakers and share their latest research performances and look for research collaboration opportunities on RNA Biology. Your interest and participation would be much appreciated. Thank you.